Just to prove I am actually doing something. 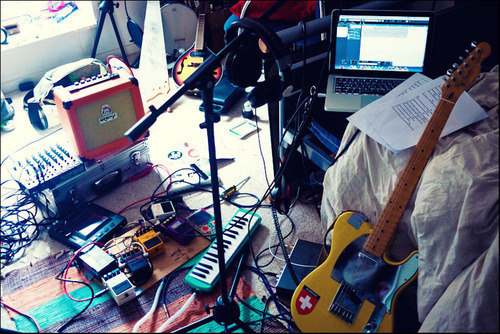 Here’s the current state of my recording studio bedroom. I’m butchering covering a track from the wonderful FOE called the Black Lodge. Have a listen to the original below.